The players are back home, the consoles are shut off and the hotels have been left behind, but the NBA 2K League Asia-Pacific Invitational tournament is still resonating. 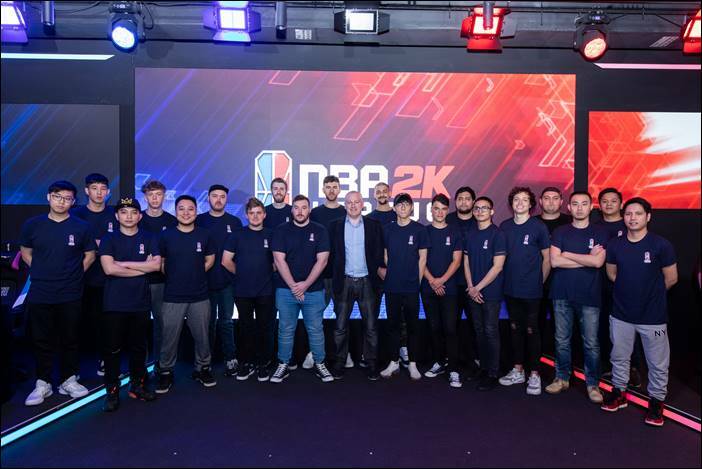 Twenty NBA 2K players from China, the Philippines, Australia and New Zealand gathered in Hong Kong for a two-day tournament hosted by the NBA 2K League this past weekend. The league brought in team officials and scouts as well as league MVP OneWildWalnut in the commentary booth. The league will select several players from the tournament to add to the 2019 Entry Draft pool. Team Kersh1Flood took home the title in the double-elimination tournament. The squad went undefeated and beat Double Mash in the finals to capture the first-ever APAC Invitational title. With the title in their back pockets, all players now turn to await the announcement of the final draft pool. I came in expecting to find maybe one player who could compete with the best of the best NA has to offer. My expectations were exceeded 100fold. Not only does the APAC region have talent but I saw players this weekend that are able to start on 2KL teams this season. The overall competitiveness and talent level of the competition surprised many, including current NBA 2K League players. APAC 2K Talent, thanks for putting in years of work in your game. I am impressed by you guys’ sticks skills, confidence, and willingness to make it work with each other. To my NA players / followers, trust me APAC has got some game. “Australia/New Zealand is on the map now,” Kersh1Flood center Brad Shortland said. The region, which already has a strong core of competitive Pro-Am, performed especially well. Four of Kersh1Flood’s players were from Australia/New Zealand, with Kersh, Brad and point guard Jaacko comprising the core of the title-taking team. But they were far from the only players to impress. Both JimBoh and Milo, profiled here, rose to the occasion. PBE Philippines players Rial and Philippe earned widespread acclaim for their performances. Rial opened the tournament with a 33-point, 14-assist double-double without a turnover. For now, they’ll have to be content with the once-in-a-lifetime experience afforded by the APAC Invitational. Two Australian players, baqqy_ and Paul10801_Kille, have already qualified for the draft pool through their combine and interview efforts. It remains to be see which players impressed enough in Hong Kong to join them. But, as Shortland said, ANZ is on the map. Asia-Pacific on the whole has begun to make its mark on the NBA 2K League, and in return the league has found shining success in Hong Kong.